On Saturday, November 17, 2018, students took part in a guided five-part tour of this amazing historic and innovative complex. Located at the intersection of the Detroit and Rouge rivers, the Ford Rouge Complex was a mile-and-a-half wide and more than a mile long. The Rouge was comprised of 93 buildings and over 15 million square feet, making it the world’s largest industrial complex. In the 1930s, the Rouge housed over 100,000 employees of Ford Motor Company. The tour group entrance to the Ford Rouge Factory. 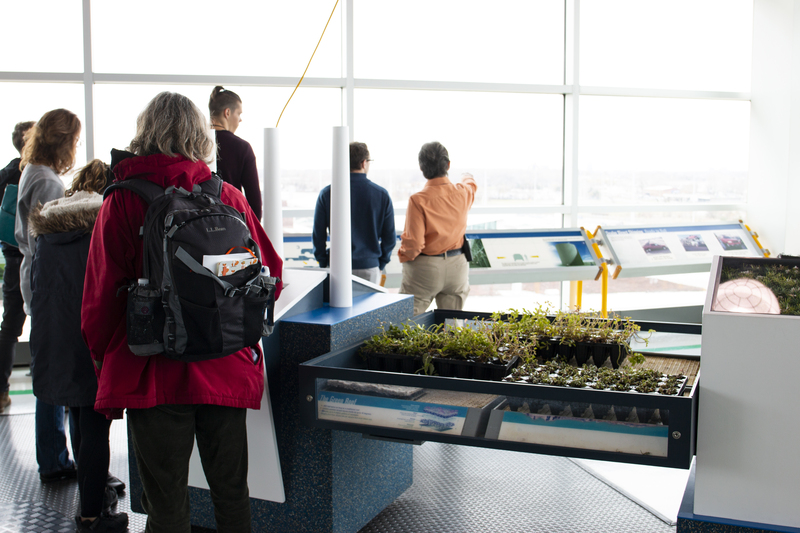 The group gathers on the Observation Deck to see a view of the green roof, the solar panels, employee parking, and the rest of the Rouge. A view of the Rouge and employee parking from the Observation Deck. 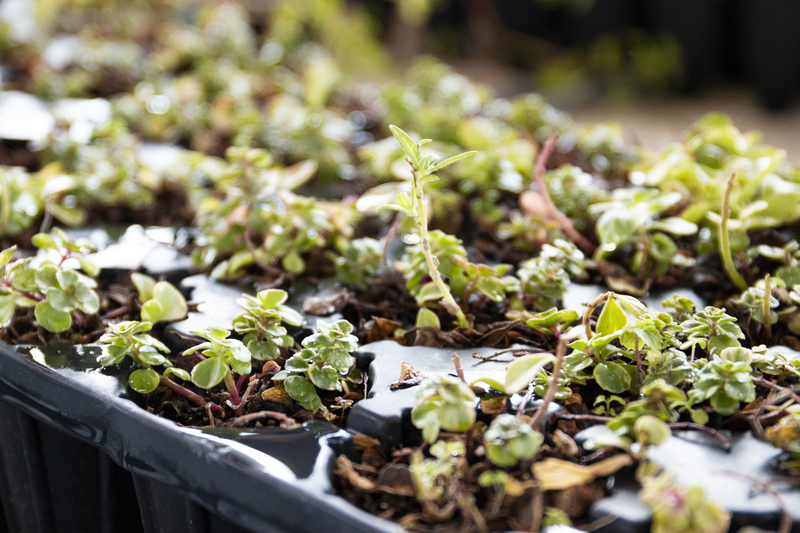 The plants found on the world’s third largest living roof at the Ford Rouge Factory. The Ford Rouge Factory Tour, sponsored by the University of Michigan Center for Occupational Health and Safety Engineering, was held for the first time on March 12, 2016. The bus left Ann Arbor at 9 a.m. and returned around 1 pm. On the way, COHSE’s own Dr. Stuart Batterman provided commentary about Detroit. 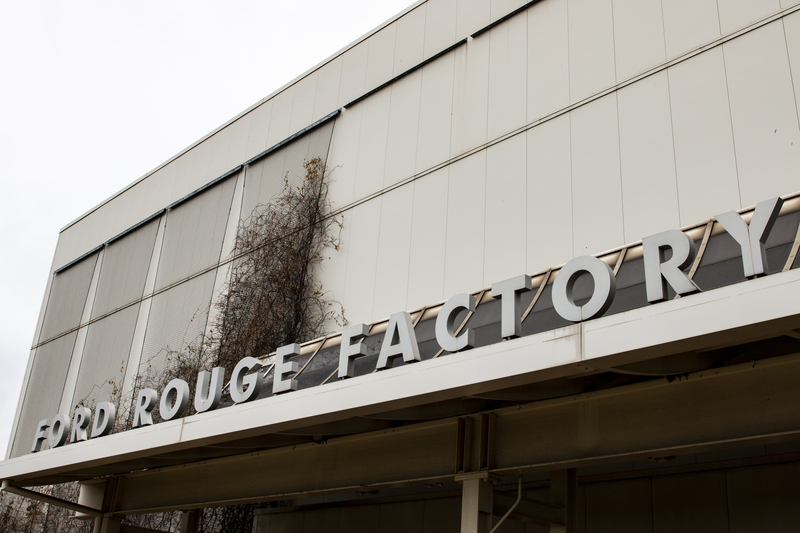 Once at the Rouge Factory, two docents led the way. 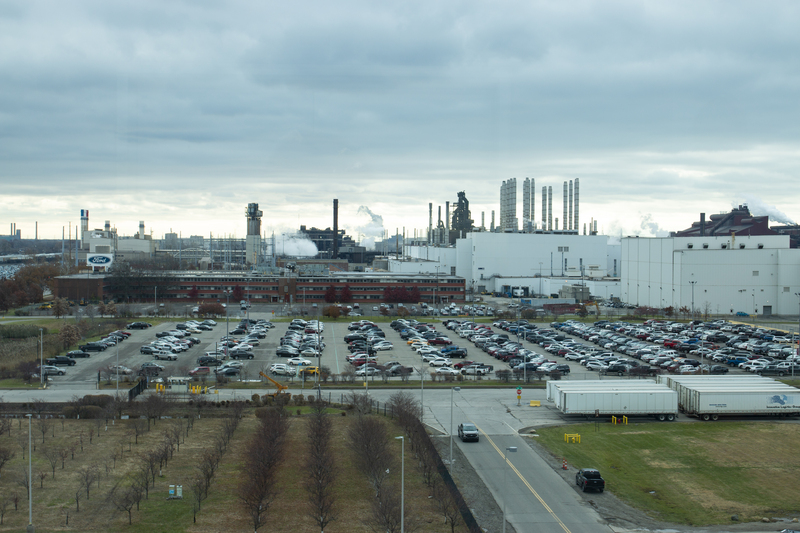 The free tour, which is normally self-guided, included a walk through a working truck plant, a view one of the world’s largest “living roofs,” a gallery of iconic Ford vehicles produced at the Rouge, and two theatre experiences – one had archival footage of the factory’s history and the other was a multi-sensory film experience about the production of the award-winning Ford F-150. University of Michigan students, faculty and other interested community members were welcome to attend. The Ford Rouge Complex is located at the intersection of the Detroit and Rouge Rivers. In the 1930s, this factory employed over 100,000 workers. The Rouge was the world’s largest industrial complex, comprised of 93 buildings that cover over 15 million square feet. The complex was a mile and a half wide and over a mile long.